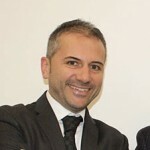 Antonio graduated from the Politecnico of Bari with a degree in Electrical Engineering in 2001 and has been enrolled in the National Order of Engineers (Bari) since 5th October 2001 (no. 6211). Before founding BFP together with his two partners, Antonio worked for several companies primarily in the Oil & Gas sector, where he acquired considerable expertise in the engineering and design of roadside fuel stations. 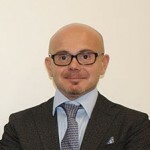 He is one of three managing directors and owners of BFP, and in addition to managing the implementation of new and existing photovoltaic and wind projects in Italian and European territory, Antonio also oversees the activities of BFP Service S.r.l., the wholly owned BFP subsidiary providing O&M services for renewable energy systems in Italy and Europe. In addition, Antonio is also the area manager for BFP Enerji A.Ş., a joint venture offering engineering services for renewable energy systems in Turkey.